Diego’s life revolved around his gang member friends, who gave him a sense of belonging that he didn’t find with his family. Despite living on the streets and being constantly high on drugs, somehow he managed to continue in school— which is where he met Pastor Alberto, who was using the training he’d received from World Vision to teach youth in schools about values. Something about Pastor Alberto drew him in. 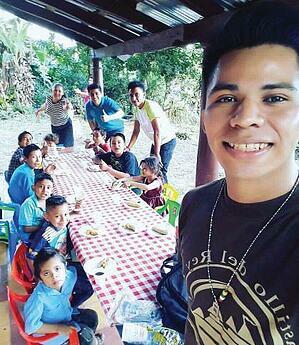 Although Diego (pictured right) knew that the life he was living did not reflect any of the values the pastor was teaching, he volunteered to assist with the classes. And he felt something change in his heart. In Central America, breaking free of gangs is only possible through a true commitment to Christ … or death. Gang members admit that the only thing they fear and respect is God. “You don’t mess with God,” they say. Please pray as the Christian Discipleship Project moves into the dangerous Soyapango municipality near San Salvador. Please pray for safety for World Vision staff and our church partners. Please pray that as children and youth experience Christ’s love, they have the courage to follow a Christian path rather than a path toward gang membership. 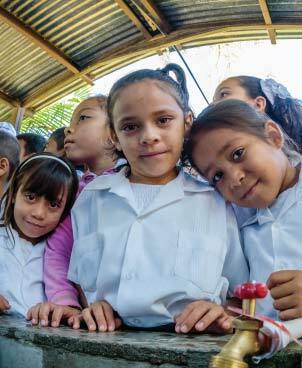 Please pray for safety and peace amidst the violence in El Salvador and Honduras. We especially pray for continued stability in Honduras, which has been rocked by sporadic violence since the November 2017 election.